The American Revolution was a naval war of immense scope, embroiling twenty-two navies fighting on five oceans. Britain alone launched simultaneous campaigns in the English Channel, the North and Mid-Atlantic, the Mediterranean, the Indian Ocean, the Caribbean, the Pacific, the North Sea, and, of course, the Eastern Seaboard of America. Not until World War II would a single nation fight in so many different theaters. If the British had had the luxury of focusing on their American problem alone, the outcome would have been quite different. But it was thought that losing Jamaica to the Spanish or India to the French would have been much more crippling to the British economy than losing the American colonies. 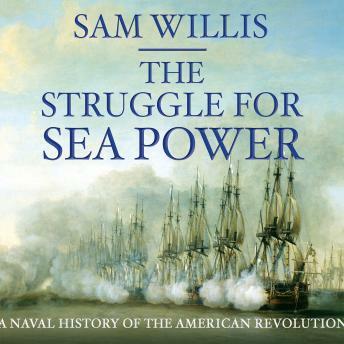 The Struggle for Sea Power bristles with stunning reversals of fortune and desperate naval encounters. Readers will come away from it with a profound understanding of this global war, of the rise and fall of the British Empire, and of the way in which seapower shaped our world.